The Google I/O 2018 has taken the world by a storm and is introducing amazing new features! Google has been making our lives easier for quite a while now and it is not going to stop anywhere. Ordering food can be a huge hassle and sometimes you would choose to stay hungry than actually make an effort. Google has sorted out that problem with these new Google Assistant features. Very soon, you will be able to order your food using the Google Assistant on your Android phones. Changes in the Google Assistant software will allow users to order food for both pickup and delivery. It will also save your order; in case you wish to order the same thing from the same place at a later point in time. You like the idea? Well, it gets better. For some partner restaurants, like Starbucks and Panera, Assistant will work with third-party apps to streamline the entire process. For example, you can say “Hey Google, order my usual from Starbucks” and you will be good to go. Pretty cool, right? The company is also working with some prominent names like Dunkin Donuts, Door Dash etc. Your Assistant already tells you about your appointments etc., right? The company is expanding this and you will now be able to see a visual snapshot of your entire day. This snapshot will include everything, the weather forecast, your commute, appointments etc. You will soon be able to integrate your notes from Any.do, Google Keep, Remember the Milk etc. as well. 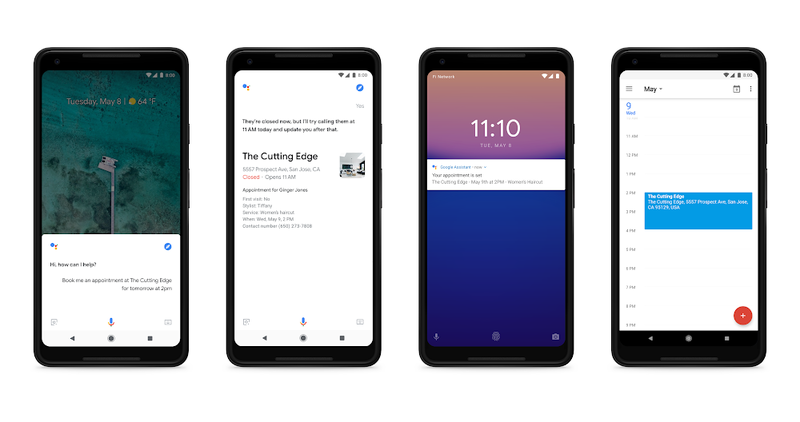 To open this dashboard, just open Google Assistant and swipe up. Your entire day will be displayed in front of you. The controls are more integrated than ever before and have a better interface. If you ask the Assistant a question, you will get better responses and with pictures that will take more of your screen now. If you are using it to adjust lights or thermostat, the Assistant will pull up other smart home controls. You can now also share your arrival times with your friends and family with just a voice request.